A 'zero FIR' was lodged based on the woman's complaint. New Delhi: A 19-year-old college student was allegedly kidnapped and raped by four to five people at Kanina in Haryana’s Mahendergarh district, police said on Thursday. She was allegedly kidnapped on Wednesday by the accused who arrived in a car and taken to a secluded place where she was gangraped after being offered a drink laced with sedatives, they said. According to the woman’s complaint, she got down from a bus to go to a coaching institute. “When I crossed the road, two boys of my village, Pankaj and Manish, met me. They asked me what I was doing. I told them I was going for my coaching class. They offered me a glass of water. I drank it and fell unconscious. They took me into their car near a well. When I regained consciousness, another boy Nishu was already there. I started crying. All three of them gave me another laced drink. After drinking it, I fell unconscious and all three raped me. Then they dropped me near the bus stand around 4.53 pm. Manish also called my father and mother. My brother picked me from the bus stand,” Indian Express quoted her complaint as saying. The accused later left her near a bus stop in Kanina. “My daughter was rewarded by Modi ji after she topped the CBSE board exams. Modi ji says ‘beti padho, beti bacho‘, but how? I want justice for my daughter. Police have taken no action yet,” the woman’s mother told news agency ANI. 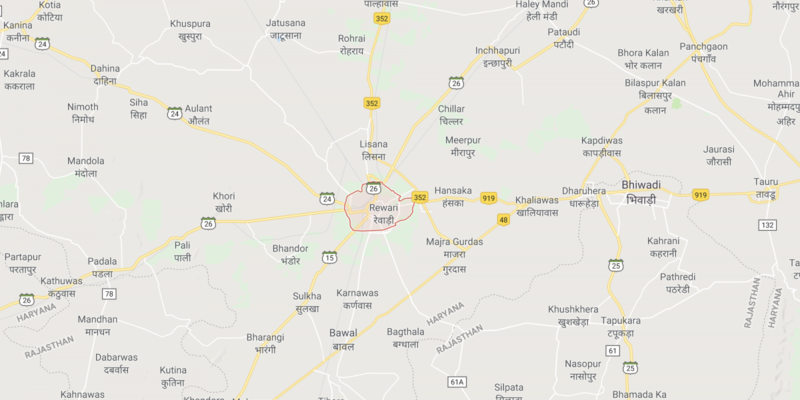 According to an official of the women’s police station, Rewari, a ‘zero FIR’ was lodged on the complaint of the woman, and the probe was being conducted by the Mahendergarh police as the incident occurred in the area under their jurisdiction. A zero FIR can be filed in any police station, irrespective of the place of the incident or jurisdiction, and the same can be later transferred to the concerned police station.